Overwatch’s newest update is now live, and you know what that means. It’s time for our heroes to get spooky! 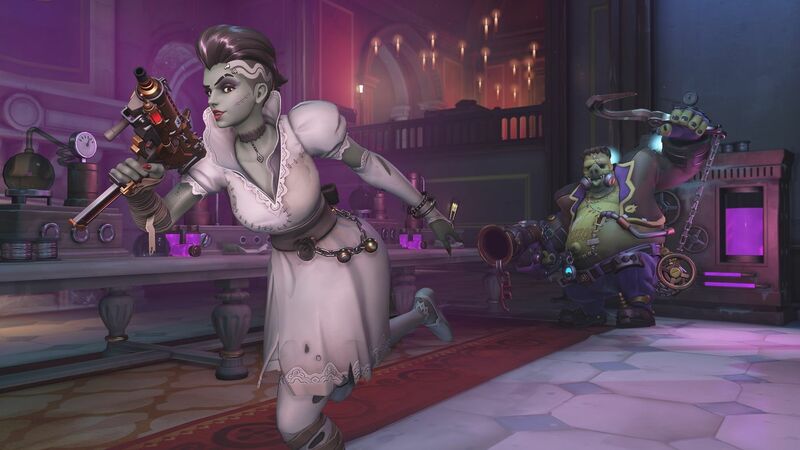 The Halloween Terror 2018 event has officially kicked off, giving Overwatch a creepy makeover. While we already got a sneak peek at some of the Halloween costumes our heroes will don, we now know all the ways they’ll be getting festive. Solder: 76 looks ripped right out of Friday the 13th, while Sombra is now the Bride of Junkenstein. Junkenstein’s Revenge, the fan-favorite PvE mode, returns for Halloween, with some extra heroes joining in. Both Tracer and Brigitte are playable for the first time in this mode, allowing people new ways to strategize. The event, along with the mode and skins, is only available until October 31, 2018.